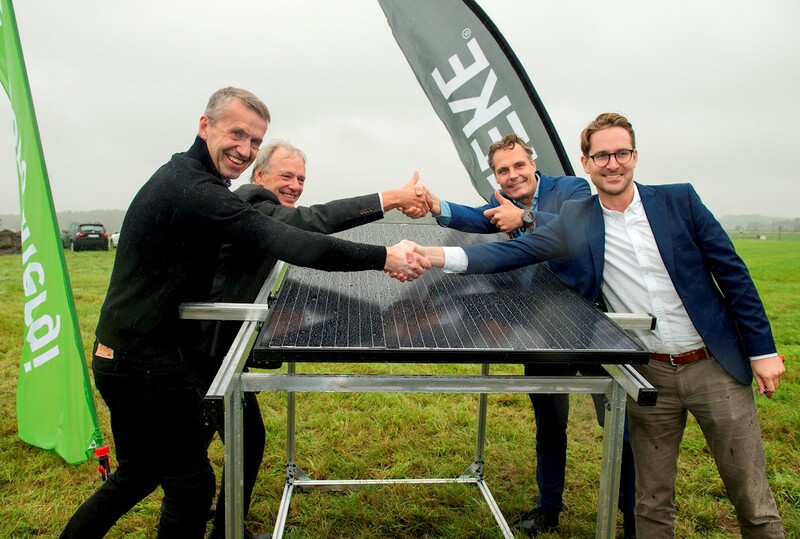 Today is the kick-off for what is becoming the largest solar park in Sweden. The plant is located near Säve airport and is part of a major investment in solar energy, made by the Swedish utility Göteborg Energi. The solar park in Säve, outside Gothenburg, will be the largest so far in Sweden covering 11-hectares, a little less than 16 football fields, with a capacity of 5.5 MW. It is expected to generate approximately 5000 kWh of electricity a year per villa, so enough to satisfy the yearly electricity needs of 1,100 households. "With our investment we increase the production of renewable electricity and take another step towards a renewable energy system. We have always had great experience and relations with ABB and so it felt quite natural to include them in this journey,” says Alf Engqvist, Managing Director at Göteborg Energi. “It is great to be part of Sweden's largest solar energy investment, together with Göteborg Energi. The changeover to renewable energy sources in the electricity grid is ongoing and sustainable power supply is crucial for the future. Advanced technology and digital solutions will play an important role in the energy transition,” says Johan Söderström, Managing Director ABB Sweden. The kick-off for the solar park is celebrated today on September 11 when the first photovoltaic panel will be symbolically put in place. The solar park is expected to be commissioned in November 2018.